High Speed with Ethernet HDMI Cable 0.5m Sharpview High Speed. 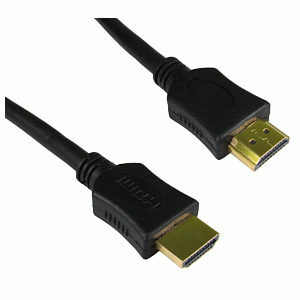 HDMI to HDMI cable 0.5m, high quality hdmi cable for transferring, uncompressed digital video, audio and control functions. Supports up to Full HD 1080p and 4k x 2k resolution. Supports HDMI 1.4 and HDMI 2.0 equipment functions. This 0.5m hdmi to hdmi cable is ideal for connecting your HD equipment to your TV, it will provide perfect picture and sound at a bargain price, our Sharpview Gold Install Series range of HDMI and digital leads produce perfect pictures at discount prices. All cables are RoHS and CE compliant. HDMI splitter switch 3 x 2, 3 input x 2 output. Switch any one of 3 HDMI input devices and mirror to 2 TVs or displays. Supports deep colour signal 12 bit per channel (36 bit). Supports 480p, 720p, 1080i and 1080p video format. HDCP compliant. Bandwidth: 2.25 Gbps per channel (7.5Gbps total). Supports HDCP. Supports uncompressed audio such as LPCM. Supports compressed audio such as DTS Digital, Dolby Digitalincluding DTS-HD and Dolby True HD. External 5V DC@2A Power Supply included.